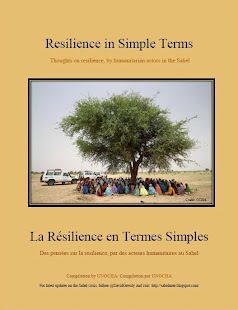 On 3 February 2014, humanitarian partners launched the 2014-2016 Strategic Response Plan for the Sahel in FAO premises in Rome. The launch of the Plan was the culmination of a regional process in which hundreds of partners delivering humanitarian aid in the Sahel countries have come together to assess needs and formulate concerted plans and a unified funding request to UN Member States and donor organizations. 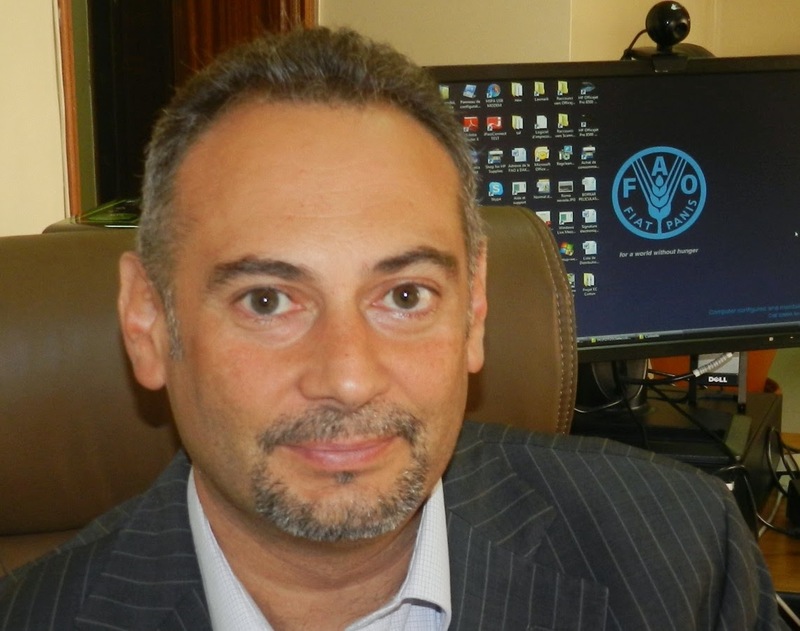 For 2014, the Plan includes response strategies to cover the most humanitarian needs of millions of people still affected by food insecurity and malnutrition in the region, including agricultural response. On 2 May 2014, only 13 percent of the required funds for the agricultural component of this appeal were received. What are the immediate consequences of this lack of funds? The lacks of adequate funding for emergency agricultural and livelihood support in the Sahel is preventing vulnerable communities who rely on small-scale agriculture to produce their own food. Millions of men and women farmers have to face the next main agricultural campaign (May-October 2014) with depleted or low stocks of food crop seeds, and will therefore cultivate reduced areas of land, or will not even be able to plant at all. Herds are extremely weakened by the lack of adequate food due to deficits in previous months fodder productions. As a consequence they are very vulnerable to diseases and to death. Vulnerable families will rely entirely on markets in the coming months as the lean season, also known as the ‘hunger season’, has already begun. In absence of assistance, the most vulnerable households are forced to reduce quantity and quality of daily meals, reduce their investment in quality inputs, sell their productive assets and become indebted. These negative coping mechanisms threaten their ability to respond to shocks in the short, medium and long term. In particular vulnerable households will be confronted to possible droughts, floods or insecurity in the months to come with low level of adaptative capacities. In the past years, millions of vulnerable households have not benefited from adequate support. It is refraining communities from becoming resilient and protecting their livelihoods. Without a renewed commitment of donors and partners to support food production and protect livelihoods, a further deterioration of food security and nutrition can be expected throughout 2014, requiring long-lasting and costly food assistance. In the coming months, other opportunities shall be seized to support food production and protect livelihoods in the region with support to livestock, flood plain recession and off-season agriculture. 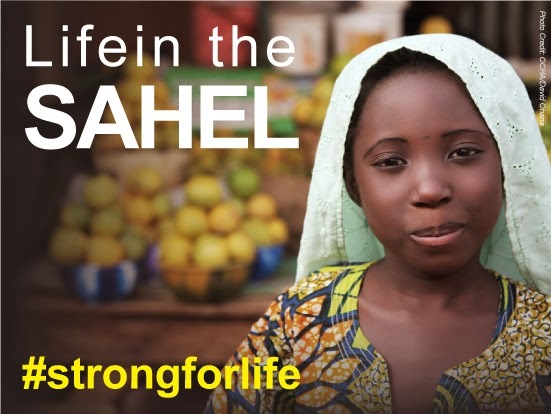 The food security challenge in the Sahel shall not be forgotten. The remaining needs of the region are enormous and donors and partners still have the opportunity in the coming months to support households affected by food insecurity with support to livestock, flood plain recession and off-season agriculture. Increasing support to the agricultural sector could help vulnerable households break the cycle of poverty and hunger, instead of keeping them dependent on food assistance. Dans les régions sahéliennes du Matam (Sénégal) et du Guidimaka (Mauritanie), de part et d’autre du fleuve Sénégal, la malnutrition aiguë des jeunes enfants dépasse largement les seuils d’urgence. De plus, ces mêmes régions ont été affectées par un manque de pluies et une réduction de la production agricole en 2013 aggravant une insécurité alimentaire sévère qui touche désormais 20% de la population. Ces taux sont comparables aux années de crise de 2008 et 2011. Adolescent girls are often the first victims in crisis situations, and the last to receive help afterwards. 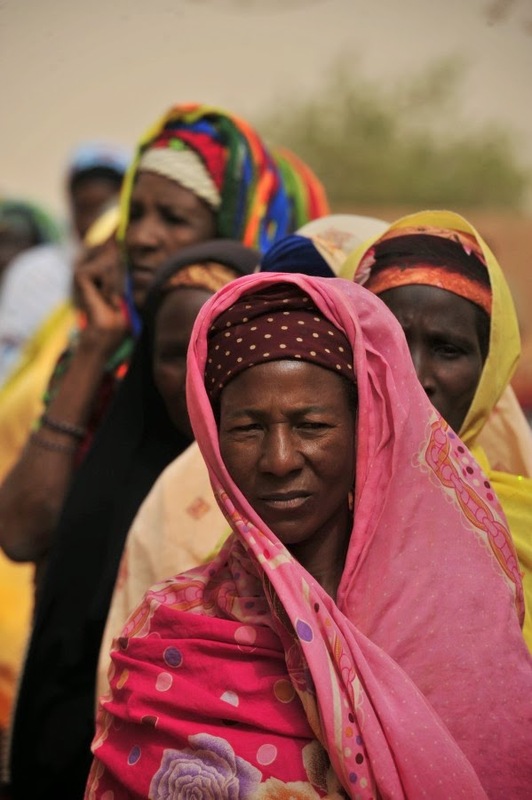 Plan recognises this and is making an effort to address the needs of victims of last year's conflict in Mali, as well as in Niger, where adolescent girls are often taken from school and married off to help their families during times of drought and food shortage. Throughout the pilot phase, P4P has focused on assisting women farmers to benefit economically from their work, gaining confidence and voice in their communities and homes. Mazouma Sanou, a farmer from Burkina Faso, has first-hand experience of these benefits as well as the challenges still facing women farmers. “P4P started as a gender conscious project,” says P4P gender consultant Batamaka Somé’, during the 2014 P4P Annual Consultation. From its inception, he says, P4P faced many challenges to women’s empowerment, such as women’s limited access to inputs and credit, their unpaid contributions to farming, and the male-held control of household production and marketing. To address these challenges, P4P’s first step was to create realistic goals, and a framework within which these could be achieved. This was documented in a gender strategy. The development of the strategy was led by the Agricultural Learning Impacts Network (ALINe), and included extensive field research and literature review, which provided a nuanced and culturally specific view of women in agriculture. Today, a number of P4P’s targets related to gender have been met. Women’s participation in P4P has tripled since the beginning of the pilot, and some 200,000 women have been trained in various capacities. Skills and income gained through P4P have boosted women’s confidence, enabling them to participate and engage more in markets. However, many challenges remain to further assist women to access markets and benefit economically from their work. union UPPA-Houet at P4P’s Annual Consultation in Rome. 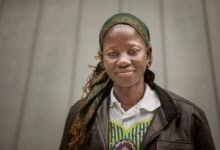 Mazouma Sanou is a 43-year old woman farmer from Burkina Faso. She is married and the mother of three children. Mazouma is a member of a P4P-supported cooperative union called UPPA-Houet. Today, the union has 20,500 members, 11,000 of whom are women. Mazouma contributes maize, sorghum, and niébé (cowpeas) to her union’s sales to WFP. Mazouma also works as a field monitor paid by WFP and OXFAM to coach 25 rural women’s groups affiliated to her union, assisting them to produce and earn more. She works as an intermediary between groups and partners, and assists women to better organize their groups. She also supports them throughout the production process, making sure their products meet standards and working with them to improve their marketing and gain access to credit. P4P has contributed to an improvement in family dynamics by increasing women’s economic power through P4P-supported sales, finding that with money in their hands, women have more voice in their communities and homes. P4P and its partners also carry out gender sensitization training for both men and women, illustrating the tangible benefits which can be realized by households when women participate fully in farming activities. Mazouma says that since their involvement in P4P, many women are able to make family decisions in collaboration with their husbands. She states that this has made income management easier, allowing families to plan for the possibility of unexpected illness, and to set aside money for enrolling their children in school. Additionally, Mazouma has seen great changes at the community level. She says that thanks to their increased economic power, women are now more involved in decision-making and planning both in the cooperative union and their communities. While Mazouma says that gender dynamics are certainly changing for the better in her community, she acknowledges that there are still challenges ahead. She says that certain men do resist women’s increasing voice, and that she often works with women to discuss family life and helps them negotiate with their husbands. Many women in Mazouma’s farmers’ group have benefited economically from their work with P4P. Despite this, while over 50% of the UPPA Houet’s members are women, only 32% of the farmers’ organization’s sales to WFP were supplied by women, putting just 22% of the union’s sales directly into women’s hands. The five-year pilot illustrated that progress has been made, however continued efforts are required to ensure that more women benefit economically from their work with P4P. Though women such as Mazouma have received benefits from their participation in P4P, there is still is a long way to go. Change at a community and household level is slow, and many of the deep-seated cultural and social challenges identified at the beginning of the project have still not been completely overcome. However, the progress made so far is an indicator of the potential impact of culturally specific, flexible and nuanced gender programming. More than 20 million people - that's roughly 1 in 8 - in the Sahel do not know where their next meal is coming from. Their struggle is compounded by continued conflict, natural disasters and epidemics. On 3 February in Rome, United Nations Agencies and partners launche an unprecedented, three-year Strategic Response Plan to bring life-saving assistance to vulnerable families and break the crisis cycle for years to come. Robert Piper, United Nations Humanitarian Coordinator for the Sahel, explains how the plan will save lives now an in the future. Plus de 20 million de personnes dans le Sahel, soit environ une sur dix, ne savent pas d’où viendra leur prochain repas. Leur situation est aggravée par des conflits, des catastrophes naturelles et des épidémies. Le 3 février, à Rome, les Nations Unies et leurs partenaires on lancé un plan de réponse stratégique triennal sans précédent, pour apporter une aide vitale aux familles vulnérables, et briser le cycle de crises des années à venir. Robert Piper, Coordonnateur Humanitaire des Nations Unies pour le Sahel, explique comment le plan va sauver des vies maintenant, et réduire l’impact de futures crises. Le Sahel : c’est une région qui s’étend de l’extrémité occidental du continent Africain jusqu’aux berges de la mer Rouge, en longeant le flanc sud du Sahara et qui figure parmi les plus pauvres et vulnérables au monde. En 2012 et 2013, face à la sécheresse et les conflits qui ravagent la région, la communauté internationale s’est mobilisé afin de venir en aide à des millions d’enfants, de femmes et d’hommes vulnérables, ce qui a permis d’éviter une catastrophe de grande envergure. Mais les causes de cette vulnérabilité aigue restent entières. Nombre de communautés de la région, au Sénégal, en Gambie, Mauritanie, Mali, Burkina Faso, Niger, Tchad et au nord du Nigéria et du Cameroun, font toujours face à une situation désespérante. Aujourd’hui, l’Organisations des Nations Unies et les partenaires humanitaires se réunissent à Rome pour lancer une stratégie sur trois ans pour endiguer cette vulnérabilité. Voici cinq points clés pour comprendre la crise que traverse la Sahel et les efforts des organisations humanitaires et de développement pour aider la population à y faire face et à la surmonter. Le nombre de personnes qui ne savent pas si elles auront de quoi se nourrir au prochain repas s’est multiplié par deux en un an. Au début de l’année 2013, environ onze millions de personnes se trouvaient en situation d’insécurité alimentaire. Aujourd’hui elles sont plus de 20 millions dont 2,5 millions qui ont besoin d’assistance humanitaire d’urgence pour survivre. Dans le sud-est du Niger par exemple, du fait de la sécheresse, des inondations et du conflit dans le Nigéria voisin, la population de la ville de Diffa ne peut produire suffisamment de nourriture pour subvenir à ses besoins. « Nous n’avons rien mangé depuis dix jours » se lamente Mohamed Dala. « Avant les inondations, je produisais 50 sacs de poivrons ainsi que du mais et du millet ». La sécurité alimentaire et la nutrition sont au cœur de la crise mais d’autres facteurs y contribuent. Cette année, près de cinq millions d’enfants sont en passe de souffrir de malnutrition modérée ou sévère. Dans tout le Sahel, plus 1,2 million de personnes ont fui la violence et l’insécurité, la plupart s’étant réfugié dans des pays alentours et mettent ainsi une pression additionnelle sur les ressources déjà limitées de ces pays. Ces populations sont très vulnérables aux maladies et épidémies. Du fait du manque criant d’infrastructures médicales beaucoup meurent de maladies bénignes. Il faut une nouvelle approche pour rompre ce cycle de la faim et de la vulnérabilité. La crise du Sahel est sévère mais elle n’est pas nouvelle. On ne peut plus répondre au cycle récurrent de crises par un cycle continu d’assistance humanitaire. Robert Piper, le Coordonnateur Humanitaire de l’ONU pour le Sahel s’exprimait en ces termes dès le mois de Septembre dernier : « Nous ne pouvons continuer comme cela, c’est intenable. A moins de changer notre approche, nous allons devoir venir en aide à un très grand nombre de personnes chaque année. » Cette année, l’ONU et les organismes d’aide s’engagent dans une stratégie sur trois ans pour répondre à ces défis de façon plus systématique. Les agences, expertes dans des domaines différents de l’assistance humanitaire tels que la nutrition, la santé ou l’eau et l’assainissement, ont conjointement développé des stratégies communes et complémentaires visant à répondre à la crise de façon globale. Les agences humanitaires travaillent avec les gouvernements ainsi que les acteurs du développement. L’étendue des besoins est telle qu’aucun organisme ne peut y faire face seul. Lors de l’Assemblée générale de l’ONU en Septembre dernier, la communauté internationale a adopté une stratégie intégrée pour le Sahel. Celle-ci met en exergue le fait que les besoins humanitaires ne peuvent être adressés indépendamment de considérations sécuritaires et des efforts en matière de développement. Les personnes déplacées par le conflit au nord Mali ont besoin de la paix et la stabilité avant même de recevoir une assistance pour relancer leurs productions agricoles ou reconstruire leurs cliniques. Les gouvernements et les agences du développement ont pour responsabilité de s’attaquer aux causes structurelles de la pauvreté et de l’inégalité qui rendent les populations aussi vulnérables aux chocs externes tels que les catastrophes naturelles et les conflits. Les agences humanitaires se disent convaincues de pouvoir faire la différence. Elles ont besoin pour cela des fonds nécessaires. Cette année, les besoins financiers des quelques 117 organisations qui apportent une assistance humanitaire à des millions de personnes dans neuf pays du Sahel s’élèvent à plus de deux milliards de dollars américains. Comment seront utilisés ces fonds? Un million de dollars permettrait aux agences de mettre en place une infrastructure de base en eau et assainissement, essentielle à la survie de 40 000 personnes au Tchad. Avec 12,5 millions, la communauté humanitaire au Burkina Faso pourrait apporter une assistance nutritionnelle et médicale à 115 000 enfants souffrant de malnutrition sévère. Pour un peu moins de dix millions, ce sont pas moins de 500 000 enfants qui pourraient retourner à l’école et recevoir une éducation de qualité au nord Mali.